If you haven't been reading my blog for very long, you should know that superheroes are a huge part of my kids' lives. They go through stages of who is their favorite and usually it changes by the day. However, my son has really taken a liking to The Flash lately. It might be because him and I have started watching the show together on Netflix. He was too young to watch it when it first came out on the CW network, so we are catching up on the series together now. What I love about watching shows together, with any of my kids, is that it opens up doors to conversations that we wouldn't have otherwise. A good rule for yourself is to come up with questions during the show that you can ask your kids after. Don't just mindlessly consume, but mindfully interact with what you and your kids are putting into your heads. With The Flash, there are plenty of topics to discuss along the lines of helping friends, putting family first, making the best decisions, etc. I can't wait to see how my son reacts to what is coming in later seasons! Of course, he also wants to watch Justice League now. 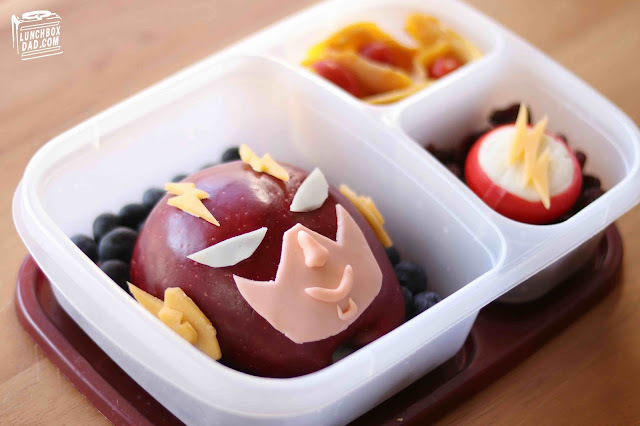 Until then, he gets this lunch to take to school. Below is how I made it. 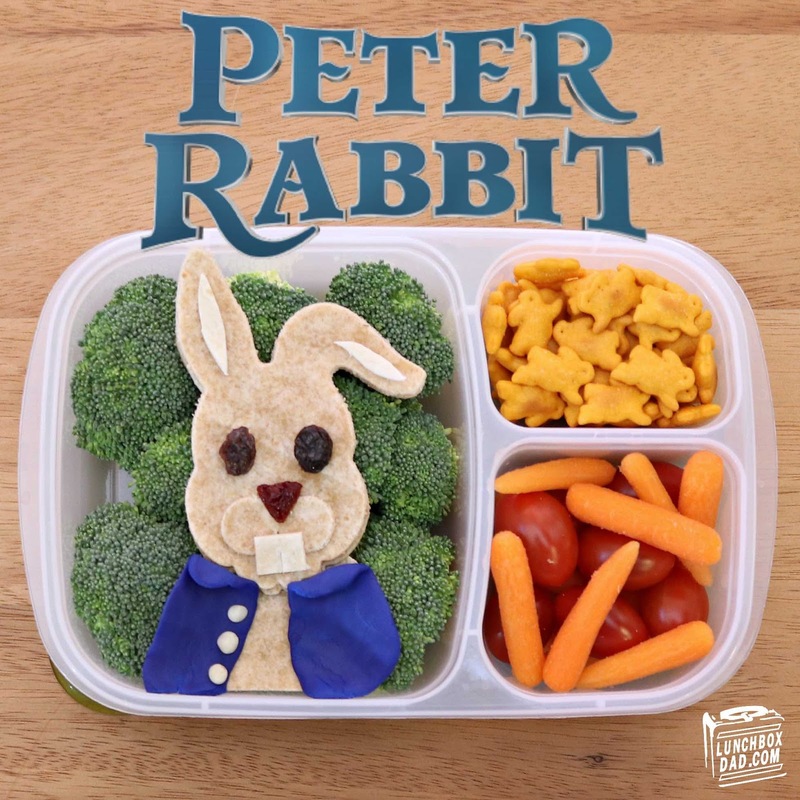 Like many people, my family and I were so excited to see the Peter Rabbit movie this weekend. As a big fan of the books growing up, and after seeing the previews, and we couldn't wait to see it. We didn't read anything about the movie going into it but it we thought it would be a great time out. So in retrospect this lunch is just as much about the books as it is about the movie.